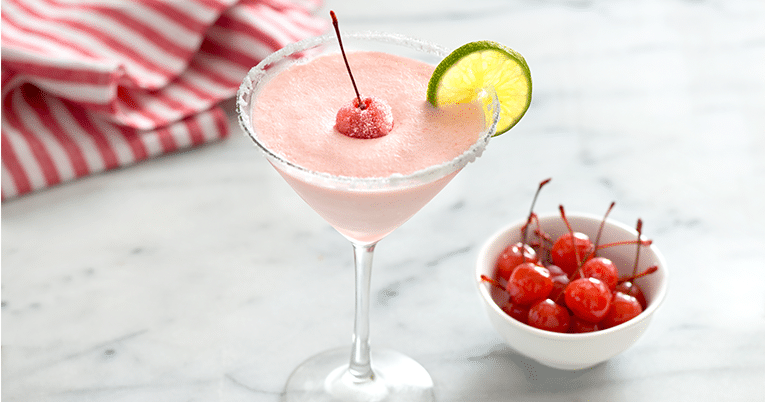 In a blender combine vanilla vodka, lime juice, ice cream, diced Maraschino cherries and ice. In a chilled dry martini glass, rim with lime-infused sugar. Strain cocktail into glass and garnish with 2 whole cherries.